The Iraq war – a fading memory? Rhodri Morgan, first minister, Welsh assembly government, when asked if he supported the Iraq war. At the start of the Iraq war, I suppose I could be considered a veteran of many direct action protests. But it had been a while since I’d got involved in anything like that. 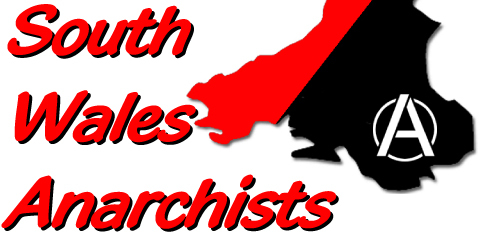 I’d heard some of the anarchists planned to go into Cardiff city centre when war was declared and blockade the road. So I headed down, determined to see what was happening but slightly uneasy about getting stuck in. When I got there, it was late afternoon but still sunny. Protesters had shut down Duke Street by the side of the castle. They had handcuffed themselves to each other, spread across the road and covered their arms with plastic guttering – more difficult to separate them! The cops were completely baffled. The Red Choir sung away in solidarity. Cars beeped their horns, and it was like the general public hadn’t seen anything like it. I sat down with the people who had locked themselves down and chatted. We were surrounded by crowds of people on the road. We joked and I passed them water. They were in good spirits. Later, when night came down, the blockade ended and lots of people just ran amok in the city centre with the cops chasing them. There was a right mixed bag of people: “ordinary-looking” folk, anarchists, Muslims, people who were pissed off with the fact the war started…..The baton had been passed over to another generation and a completely different set of people. It was the start of a whole different focus for the protest movement. My whole life changed when my husband was killed during the events of 2004. He was returning home after work, when fighting broke out between armed groups and coalition forces. A stray bullet killed him instantly. I ran out of the house followed by my children, and I will never forget the sight of my husband lying dead in our street. I had been a happy wife, taking care of our 5 children at home; my husband had always cared for us. Suddenly everything became my responsibility. I felt lost, I had no support, and I did not know how to face the outside world alone. My 16-year-old son had to leave school to earn a living as a cleaner, there was no other choice. One day as my son worked, there was shooting and because he was just a child, he became scared and ran to the street. A sniper shot him in the head and killed him. To date 1,320,110 Iraqis have died as a result of the war, according to Just Foreign Policy. The figure is based on the 2006 Lancet report. I have asked you to meet me many times – Sedgefield council in particular at the start of this campaign. I have asked you for a full, open and public debate between us about the war on Iraq. Now I understand a little more easily why you refuse – not only because you are vulnerable on so many counts about the legality of the war, not only because, maybe, your conscience troubles you, not only because you are the Prime Minister and I am merely a retired paramedic of little consequence. No, you refuse to meet me because to you, the dead are not people; the dead are not names; the dead are not even numbers. Reg Keys to Tony Blair. Reg Keys’ son, Tom, was a soldier who died in the Iraq war, aged 20. Total number of countries who participated in “Coalition for the Immediate Disarmament of Iraq” at the start of the war: 31, including the United States. Current number in coalition: 4 – United States, United Kingdom, Australia, Romania. I’ve got no difficulty with the conflict in Iraq being a major part of what I’ve done. The strongest memory for me was when we went to carry out a ‘weapons inspection’ at the BAE bomb factory in Glascoed in the run up to the war. A group of us approached the site only to be met with a security guard standing behind the fence. We stood there for a few minutes then turned away. But as we were leaving something happened. Some sort of realisation spread through the group that we weren’t going to let one guard get the better of us. We stopped, turned round and walked back to the fence. Then we climbed over it and spread out over the site and carried out our ‘inspection’ until the cops turned up. We’d won and it felt fantastic. As of November 2008, 2.8 million Iraqis were displaced inside Iraq.